Once upon a time – let's say five or 10 years ago – the average internet user could enjoy a wide range of free content on the internet in relative peace. Suddenly, there are ads everywhere. Not unobtrusive display ads like you find in newspapers and magazines, but pop-ups that entirely obscure the page, and video ads that start playing as soon as you land on a page. If you are trying to read an interesting article, sometimes it is next to impossible because you have to stop every few seconds to try to close an ad, or stop a video from playing. Mark Havenner, a vice-president at The Pollack PR Marketing Group in Los Angeles, traces the escalation in annoyance to just two years ago. But around 2014, he says, Facebook began to score spectacular results with “native” advertising. Native advertising blends in with the content of the site you are on. If you are looking at your Facebook timeline, you get video ads mixed in with everything else. The difference is, the content of the ads matches things you are more or less interested in. It's more effective for the advertiser but less obtrusive for the reader. Because Facebook has been so successful with that strategy, Havenner says nearly all advertisers are now trying to replicate it, even though it might not be practical for their kind of site. Not all internet advertising is as infuriating as the ads that interfere with how you are trying to use the web. Hulu and YouTube play commercials within videos. Hula commercials come within the content, much like TV commercials would. YouTube plays commercials at the beginning of videos but most of the time you can skip out after a few seconds. “That kind of advertising doesn't mess with people,” Havenner said. Another part of the problem is that a huge transition has taken place in how people consume media. Television viewership is down, with most of those eyes moving to the internet. The advertising dollars have followed and web publications are fighting for them. If you want to blame someone for the annoying state of the internet, Havenner suggests blaming the online publications that allow jarring and disruptive advertising. Because of it, he believes these publications are losing readers. If so, does that mean there's hope for the future? 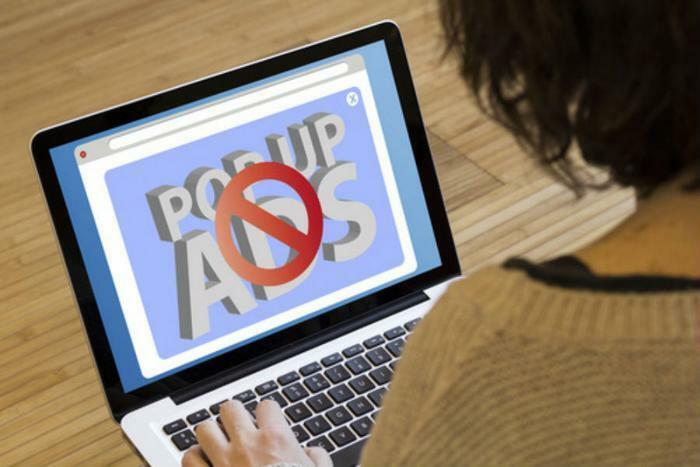 Havenner's advice to fed up consumers is to simply avoid going to sites with obtrusive ads. Eventually, he says, advertisers will get the message.